Content marketing is one of the most effective forms of marketing for businesses of any size. Many brands now use content as their main marketing tool to engage with their customers, build trust and authority, and drive traffic to their websites. Your business should be doing the same. But it’s not enough to just churn out average content — you need to be producing interesting, valuable content that your readers will engage with. Your content can’t just be good — it needs to be great! Sometimes it’s difficult to know where to start, but it helps to see how the experts are doing it. Here are seven awesome brands that have got their content totally sorted — check them out to get inspired and see what you can learn from the pros. MailChimp is one of the most popular email marketing platforms, and it attracts new customers with its content marketing efforts. Mailchimp consistently creates valuable content on its excellent blog, which is packed full of tips, success stories, resources, guides, and more. MailChimp not only provides useful content that provides value, but its content also has a fun and friendly tone. This is one of the best ways to use content marketing because it is something that any brand can do. You can provide content in your specialist area by sharing your knowledge and making it interesting and engaging, even without a large budget. What to learn from MailChimp: Keep it simple and stick to what you know. Combine valuable information and advice with a bit of fun. Marriott takes its content marketing very seriously, and it is now one of the biggest publishers of travel content. It was named one of the most innovative companies in the world by Forbes in 2017, and part of this was down to its content marketing strategy. It has a huge content resource like the Marriott Traveler website which provides travel tips and advice, and its Content Studio, which publishes travel content across various digital platforms. What to learn from Marriott: Aim to be the best in your niche. You may not have the budget of Marriott, but look at what your competitors are doing with their content marketing and aim to go one better. This works for small businesses too; for example, if you’ve got a small online pet store, then check out the websites of other online pet stores and rival blogs to see what you need to beat. 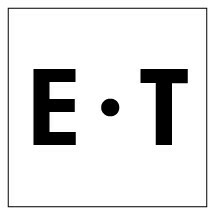 Favourite pet photo contests, pet food giveaways, animal influencer partnerships, gorgeous cat memes, animal charity donation drives — know what else is working out there — and then do one better. Use a tool like BuzzSumo to really get under the skin of your competitors’ content strategies and keep adding to your niche arsenal. Neil Patel’s website is now one of the internet’s most authoritative resources on all things related to online marketing. He grew his content marketing strategy by consistently creating valuable content and providing it for free on his blog, and his web pages rank highly in search for most marketing topics. His site generates over 1.8 million visitors a month from search, and this has mainly been achieved by consistently providing valuable long-form content that leaves no stone unturned. 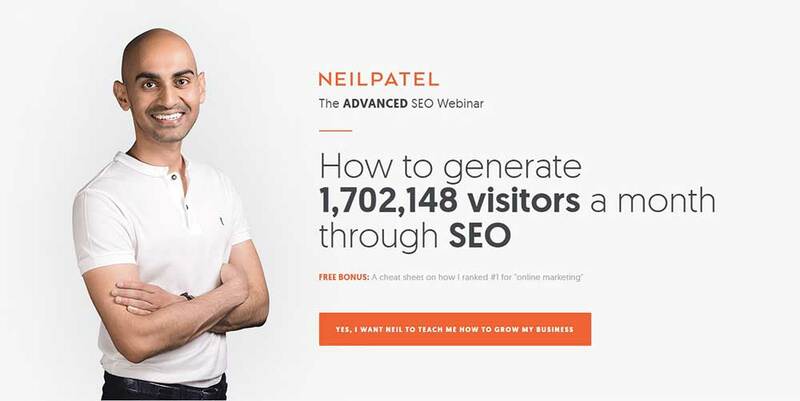 What to learn from Neil Patel: Publish long-form content regularly on topics that your target audience find valuable to generate more targeted traffic from search. CHANEL has one of the largest and most successful content marketing strategies of any well-known brand, and it’s completely nailed its process. This is best demonstrated by Inside CHANEL. This takes you on a journey inside the brand to discover behind the scenes, its history, and its products. It also has a hugely popular YouTube channel with over 1.2 million subscribers that publishes videos with useful information, such as tutorials on how to apply makeup. What to learn from CHANEL: Tell your story with your content. Provide access to your brand and let people discover behind the scenes to build a closer connection. Expedia is one of the biggest travel brands in the world, and it’s the sort of company that has plenty of options for content marketing because of the endless travel topics it can focus on. It publishes a lot of useful content around travel on its Viewfinder Blog, but it also focuses on getting published in authority publications. It also created a series of travel videos called “Find Yours,” which did very well on social media. What to learn from Expedia: Look for multiple opportunities to publish your content and play to your strengths. Virgin Mobile is one of the first names that you will come across when you start looking for examples of great content marketing. It’s been focusing on its content marketing strategy for years; long before many other large brands saw the benefits. One of Virgin’s previous strategies was to launch Virgin Mobile Live, which published content daily while it was up and running. That’s stopped now, but the company still invests a lot in content marketing. One of Virgin’s main focuses is on increasing social engagement. Rather than focusing on getting large numbers of followers and increasing its reach, it focuses on quality and engagement to drive results. What to learn from Virgin Mobile: Publish high-quality content with greater frequency to become a go-to resource, and make engagement your priority over the size of your social following. American Express got into content marketing early on, and it’s never looked back. Its content strategy actually goes back to the time before digital. Part of its success over the last few years is down to its popular OPEN Forum, a website and blog for small businesses where they can get expert advice and information that gets millions of visitors. What to learn from American Express: Be in it for the long term. You don’t get results from content marketing by publishing a few pieces of content and then stopping. Take a long-term approach and don’t give up when you don’t get immediate results. Content marketing has been around for a long time, but many businesses are now realizing that it can have huge benefits. These large brands may seem a world away from your business, but you can still learn from them even if you don’t have their budgets. The great thing about content marketing is that you don’t need a huge budget to be successful. As long as you regularly create content that is engaging, informative, and that provides value to your target customer, you too can enjoy success with a content marketing strategy. Creating and promoting content is one of the most powerful ways to build authority, generate engagement, and grow your business. So follow the example of these big brands, learn from them, and use them as inspiration — and take your own content marketing to the next level.